Flight prices around the holidays can be a bitter pill to swallow. (And that's before you get to the airport and discover the seemingly inevitable delays.) Frontier Airlines is providing an avenue to alleviate that headache (but not necessarily all of them) with a sale on flights over the next month. For flights through January 10, you can find one-way fares for as little as $19.20. As it often goes, the lowest fares are on shorter trips. 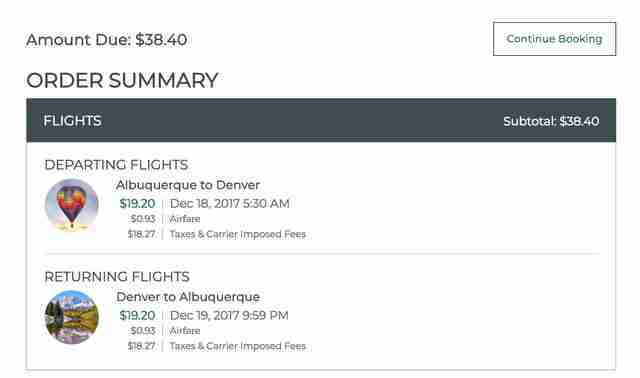 For instance, the below flight from Albuquerque to Denver costs just $38.40 round trip. However, there are below average fares on longer routes as well, including one-way tickets for $49 or less on 118 routes. The sale only lasts until midnight Eastern Time on December 11, and you have to fly by January 10. 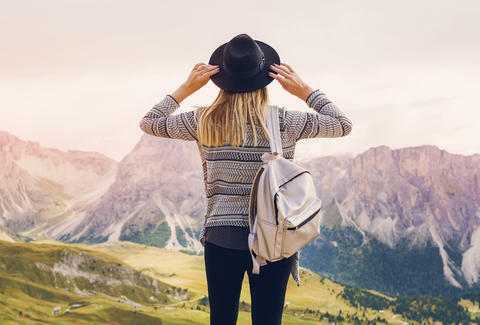 Before you book with the budget airline, it's worth getting the whole picture and knowing how much the flight will cost you when all is said and done. (Especially since the Trump administration has rescinded an Obama-era proposal that would make airlines show baggage fees more prominently.) Frontier charges to select your seat and for baggage. The airline only allows one personal item per person with a standard ticket. The airline charges for both carry-on and checked luggage. Get a good sense of what your needs are what it will cost you. If you're going to be packing presents, you'll need a checked bag and that appealing $38.20 price tag is going to rise awfully quick. But if, say, you're the Grinch and traveling to Whoville with nothing by a knock-off Santa suit, this sale is going to be right up your cold, heartless alley.